Once a more generalized therapist, Amy was presented with the opportunity to be trained in pelvic floor dysfunction in 2000. Amy became engrossed in the study of pelvic health and she quickly realized pelvic floor dysfunction is often a huge source of pain that is commonly under-recognized by the medical community. 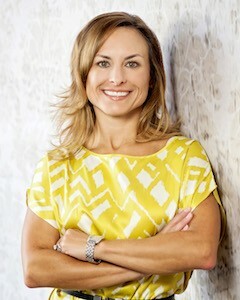 Her fascination with pelvic health drove her to establish and launch the highly successful Women’s Health program for Tx:Team Therapy which offered evaluation and treatment of the many conditions that impact women across their life span. Just five years after her successful launch, Dr. Scott Miles and Dr. Larry Davis approached Amy and requested that she join the medical team at the Center for Sexual Medicine. Dr. Miles also saw the benefit of pelvic floor physical therapy and requested that she work directly out of his gynecology office to better serve his patients. Amy has also mentored several other physical therapists in the area of pelvic health. Over the past 16 years, Amy has focused exclusively on pelvic, abdominal, hip, and low back dysfunction and has taken over 625 hours of continuing education in the area of men’s and women’s health. She is trained in and continues to study Barral Visceral Manipulation, Chikly Manual Lymph Drainage, John Barnes Myofascial Release, Upledger Craniosacral therapy orthopedic and manual therapy techniques, and pelvic physical therapy techniques. In 2015, she completed extensive training and education through the Integrative Pelvic Health Institute and earned her Women’s Health and Nutrition Coach Certification. Amy was invited to sit for and successfully passed the inaugural Pelvic Rehabilitation Practitioners Examination developed by Herman & Wallace Pelvic Rehabilitation Institute. She maintains her certification as a Pelvic Practitioner which distinguishes her as an expert in the diagnosis and treatment of pelvic dysfunction. Amy created Restore Your Core Physical Therapy (RYC) in January 2016 at the request of many of her patients. RYC provides patients the one-on-one care they deserve delivered by a single practitioner with extensive knowledge of pelvic floor and musculoskeletal issues. Amy strongly feels patients deserve a professional, safe, and nurturing environment that allows them time to tell their story, explain their concerns and fears, create attainable goals, and then allow them to improve their quality of life by working as a collaborative team. She is a respectful, open, and honest communicator which allows her to quickly and deeply connect with her patients. This deep connection allows patients to open up and discuss personal and uncomfortable topics from the very beginning. Amy consistently embraces a holistic approach to evaluating and treating pain and empowers each patient to contribute to their own healing journey. Amy has been a teaching assistant for both The American Physical Therapy Association Women’s Health Section and Herman and Wallace Pelvic Rehabilitation Institute. Amy enjoys reading, exercising, spending time in nature, vacationing near the ocean, learning, and spending quality time with her family and friends. She is appreciative and grateful that her patients have encouraged her to make the leap of faith in the adventure of opening her new clinic. Contact our Greenwood Pelvic Physical Therapy Center for any questions that you may have. We look forward to improving your life.